To depart from evil is not an option in a Christian's life. God hates evil! Evil might come to us today in many ways, but through the gift of the Holy Ghost, we have the ability to depart, eschew, abhor and repent of evil (or wickedness). Here are many Bible verses about doing just that! There was a man in the land of Uz, whose name was Job; and that man was perfect and upright, and one that feared God, and eschewed evil (Job 1:1). And the LORD said unto Satan, Hast thou considered my servant Job, that there is none like him in the earth, a perfect and an upright man, one that feareth God, and escheweth evil (Job 1:8)? And unto man he said, Behold, the fear of the Lord, that is wisdom; and to depart from evil is understanding (Job 28:28). Be not wise in thine own eyes: fear the LORD, and depart from evil (Proverbs 3:7). The desire accomplished is sweet to the soul: but it is abomination to fools to depart from evil (Proverbs 13:19). 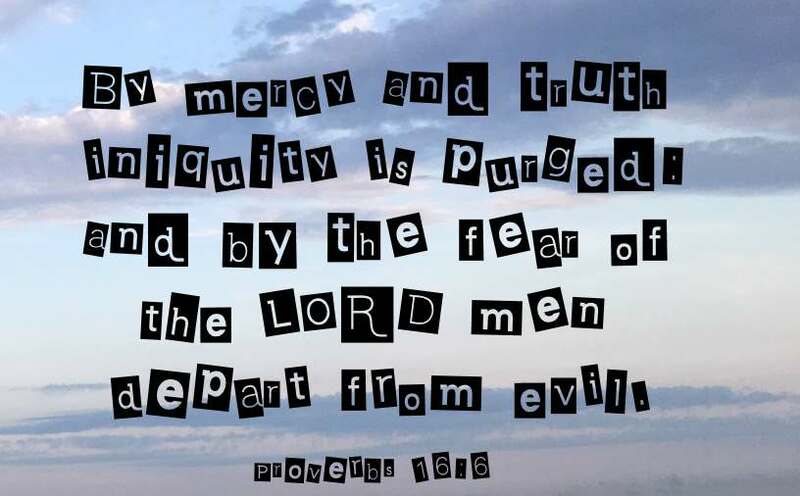 By mercy and truth iniquity is purged: and by the fear of the LORD men depart from evil (Proverbs 16:6). The highway of the upright is to depart from evil; He who keeps his way preserves his soul (Proverbs 16:17 NKJV). Whoever rewards evil for good, Evil will not depart from his house (Proverbs 17:13 NKJV). For I have kept the ways of the Lord; I have not turned from my God to follow evil (Psalms 18:21 NLT). We have sinned, and have committed iniquity, and have done wickedly, and have rebelled, even by departing from thy precepts and from thy judgments (Daniel 9:5). For I have kept the ways of the LORD, and have not wickedly departed from my God (Psalms 18:21). A froward heart shall depart from me: I will not know a wicked person (Psalms 101:4). And if that nation, concerning which I have spoken, turns from its evil, I will relent of the disaster that I intended to do to it (Jeremiah 18:8 ESV). As it is written in the law of Moses, all this evil is come upon us: yet made we not our prayer before the LORD our God, that we might turn from our iniquities, and understand thy truth (Daniel 9:13). Then God saw their works, that they turned from their evil way; and God relented from the disaster that He had said He would bring upon them, and He did not do it (Jonah 3:10 NKJV). But in that land of exile, they might turn to you in repentance and pray, ‘We have sinned, done evil, and acted wickedly’ (1 Kings 8:47 NLT). I listened and heard, But they do not speak aright. No man repented of his wickedness, Saying, ‘What have I done?’ Everyone turned to his own course, As the horse rushes into the battle (Jeremiah 8:6 NKJV). Take heed, brethren, lest there be in any of you an evil heart of unbelief, in departing from the living God (Hebrews 3:12). Let him eschew evil, and do good; let him seek peace, and ensue it (1 Peter 3:11). Let love be genuine. 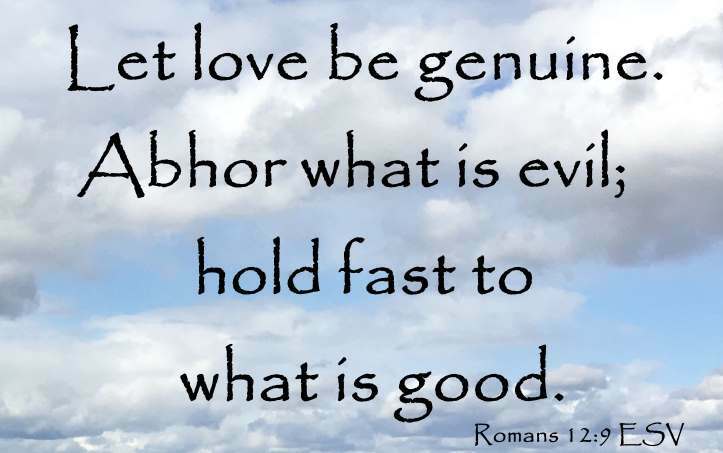 Abhor what is evil; hold fast to what is good (Romans 12:9 ESV).